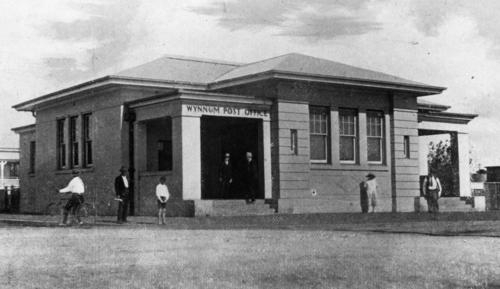 This humble structure at Wynnnum South, photographed in 1912, was the area's post and telegraph office in the early 20th century. Its appearance suggests that it probably contained quarters for the postmaster in addition to its commercial role. I don't know whether it was purpose-built - it may well have been a house converted for that use. 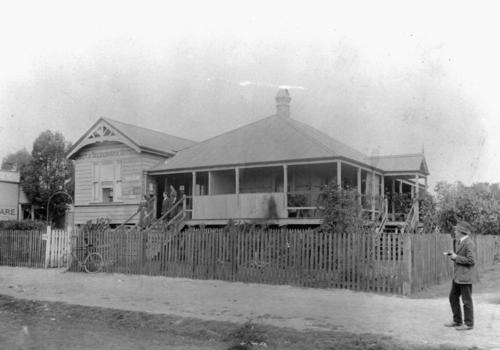 A new post office was erected in Bay Terrace in 1923-24. This building looks a lot more business-like, doesn't it? The district's telephone exchange is also housed in the building, pictured below in 1925. The telephone exchange operated here until 1955, while post office business was wound up in 1995. 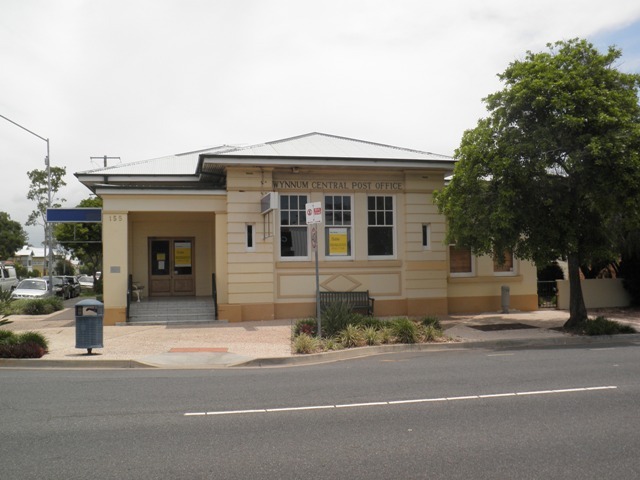 After Australia Post quit the premises in 1995, the building became available for commercial use. The current occupants are a dental clinic and medical suites.